A tastefully presented two bedroom, 2nd floor apartment with lift, two bathrooms and off road parking just off Eastbourne's seafront. A tastefully presented two bedroom, 2nd floor apartment with lift, two bathrooms and off road parking just off Eastbourne's seafront. The accommodation benefits from a 14' kitchen/breakfast room with integrated appliances and also affords views toward the sea from the handsome bay window. Only an appointment to view will convey the true merits of this apartment. 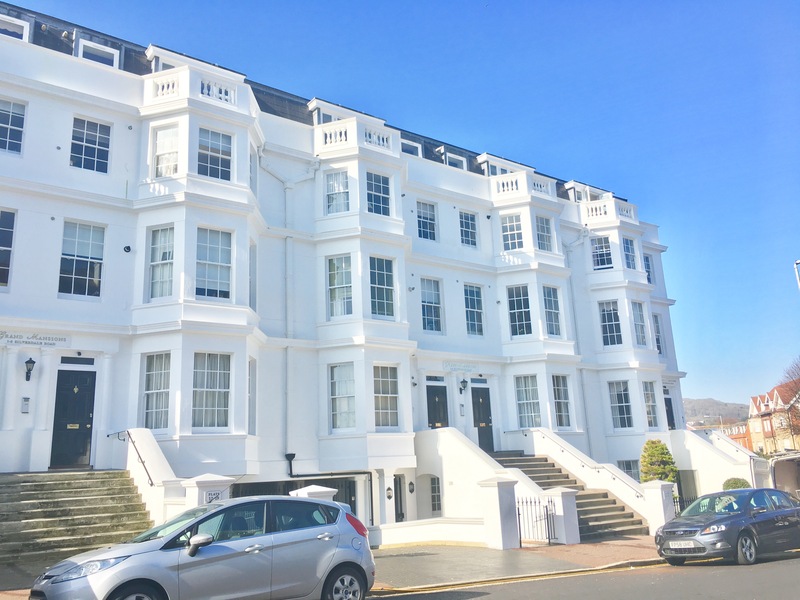 LOCATION Grand Mansions is situated in this favoured residential area to the west of the town centre. There is a parade of local shops at the rear of the Grand Hotel and a bus service connecting to the town centre with its main line railway station and principal shopping thoroughfare. Sporting facilities in the Eastbourne area include three principal golf courses, sailing and indoor/outdoor bowls and tennis.